Lake Forest, CA, As of December 18, 2018 - VRI Americas (VRI), a provider of management and leisure services to vacation owners, has added the Palm Springs Tennis Club in the popular California location to its portfolio of managed properties. The resort is located in walking distance to area galleries, theaters, and shopping, as well as to historic downtown. VRI is delivering a range of services, including operations management, financial and reservation services, owner communications, and sales and marketing, including rental revenue optimization. The company will also oversee staffing and training for the onsite resort team. Surrounded by spectacular desert and mountain views, Palm Springs Tennis Club has 126 studio, one-, and two-bedroom units. The resort features numerous amenities, including tennis courts, three swimming pools, five spas, game room, and an award-winning restaurant. Visitors can also enjoy golf at the many nearby championship courses. Palm Springs is located in the Sonoran Desert of southern California, approximately 100 miles east of Los Angeles and 120 miles northeast of San Diego. It is known for its hot springs, golf courses, and spas, as well as its many buildings that are examples of midcentury-modern architecture. The surrounding Coachella Valley offers hiking, biking, and horseback riding trails. Headquartered in Lake Forest, California, VRI Americas, which encompasses Vacation Resorts International and Trading Places International, provides resort and homeowners’ association management services to the shared ownership industry. VRI Americas has regional offices in Hyannis, Massachusetts; New Bern, North Carolina; and Salt Lake City, Utah; and manages more than 120 resort and club locations in North America for more than 275,000 owners. The company has built its success as a team dedicated to “Perfecting the Art of Hospitality” for over 35 years. Lake Forest, CA, As of August 8, 2018 - VRI Americas, a provider of management and leisure services to vacation owners, announced that 30 of its managed resorts have been awarded the prestigious 2018 TripAdvisor® Certificate of Excellence. This designation is presented to approximately 10 percent of the businesses listed on TripAdvisor that have consistently achieved great reviews over the past year. In order to qualify for a Certificate of Excellence award, businesses must maintain an overall rating of at least four out of five, have a minimum number of reviews, and have been listed on TripAdvisor for at least twelve months. Lake Forest, CA, August 17, 2017 - Vacation Resorts International (VRI) and Trading Places International (TPI), providers of management and leisure services to vacation owners, announced that 27 of their managed resorts have been awarded the prestigious 2017 TripAdvisor® Certificate of Excellence. Now in its 7th year, this award recognizes hospitality providers that consistently earn outstanding reviews on the TripAdvisor® site and is intended to help travelers identify and book properties that regularly deliver great service. Only the top-performing 10 percent of properties listed on TripAdvisor qualify for the designation. "The TripAdvisor Certificate of Excellence acknowledges the professional, thoughtful service consistently delivered by staff members at these award-winning VRI- and TPI-managed properties," said Rich Muller, COO of VRI and TPI. "On behalf of the homeowners' association boards at these resorts, we are very pleased to be among the properties honored this year." Headquartered in Lake Forest, California, Vacation Resorts International (VRI) and Trading Places International (TPI), respectively, have decades of experience in providing extensive resort and homeowners' association management, and vacation exchange and other leisure services to the shared ownership industry. These pioneering sister companies serve more than 200,000 members at over 140 resort and club locations throughout the mainland United States, Hawaii, Canada, and Mexico. VRI and TPI are operating businesses of ILG, Inc. (Nasdaq: ILG), a leading global provider of professionally delivered vacation experiences. Lake Forest, CA, May 1, 2017 – Vacation Resorts International (VRI), a provider of management and leisure services to vacation owners and an operating business of ILG (Nasdaq: ILG), announced that it has entered into a property management agreement with Surfcrest Resort located in Copalis Beach, Washington. Vacation Resorts International (VRI), a provider of management and leisure services to vacation owners and an operating business of ILG (Nasdaq: ILG), announced that it has entered into a property management agreement with Surfcrest Resort located in Copalis Beach, Washington. The property, situated on 16 oceanfront acres, features 54 two-bedroom townhouses designed around naturally weathered wood, sand dunes, and a fresh-water creek. The townhouses provide comfortable living rooms, dining areas, full kitchens, fireplaces, and private balconies. Guests can enjoy a range of onsite amenities, including an indoor/outdoor pool, barbecues, hot tub, sauna, recreational building with several game rooms, complimentary wireless internet, and direct access to the beach. The Copalis Beach and Ocean Shores region is a premier vacation location in the Cascadia territory, best known for its razor clams and watchtowers to spot sea otters. The small coastal town, settled in the 1890s, draws visitors to its beaches to bird watch, fly kites, and drive on the beach — part of which is currently designated as state highway. Headquartered in Lake Forest, California, Vacation Resorts International (VRI) provides resort and homeowners' association management services to the shared ownership industry. VRI has regional offices in Hyannis, Massachusetts; New Bern, North Carolina; and Salt Lake City, Utah; and manages more than 120 resort and club locations in North America for the approximately 200,000 families who own at VRI-managed properties. VRI has built its success as a team dedicated to "Perfecting the Art of Hospitality" for over 35 years. VRI is an operating business of ILG (Nasdaq: ILG), a leading global provider of professionally delivered vacation experiences. Lake Forest, CA, March 1, 2017 – Vacation Resorts International (VRI), a provider of management and leisure services to vacation owners and an operating business of ILG (Nasdaq: ILG), announced that it has entered into a property management agreement with A Place at the Beach III located in picturesque Atlantic Beach, North Carolina. 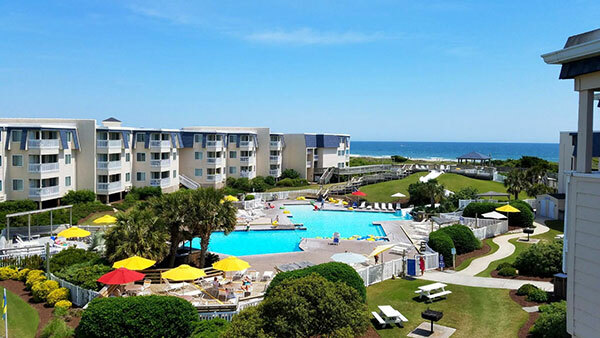 "A Place at the Beach III is a beautifully maintained resort in a highly sought after location in Atlantic Beach,” said Scott Dravis, senior vice president of resort operations for VRI. “We are excited to add the resort and the destination, which offers our customers another wonderful vacation setting, to our resort portfolio." Atlantic Beach, situated on the Crystal Coast known for its centuries of history, is a tranquil haven with miles of sandy beach to explore. The destination also offers watersports, hiking and biking trails, fishing from its piers, and a variety of island tours. It's also home to historic Fort Mason State Park and is close to Beaufort, North Carolina’s third oldest town. Lake Forest, CA, November 1, 2016 – Vacation Resorts International (VRI), a provider of management and leisure services to vacation owners and an operating business of ILG (Nasdaq: ILG), announced that it has entered into a property management agreement with the Florida Bay Club located in Key Largo on the northernmost island of the Florida Keys. VRI is known for its cost-effective management, broad-industry expertise, and service-oriented culture. The team works collaboratively with boards of directors to deliver solutions to help ensure the ongoing success of its managed resorts. The services being provided to the Florida Bay Club include budget and reserve planning, human resources support, maintenance fee billing and collections, supervision of all on-site functions, rental and marketing programs, and owner communications. "This unique resort in the sought-after Florida Keys is a wonderful addition to our managed-resort portfolio," said Richard M. Schwartz, vice president of resort operations for VRI. "The Florida Bay Club is representative of 'island life' and offers owners and guests the perfect spot to enjoy and explore the natural beauty of this destination." The two- and three-bedroom condo units offer spacious accommodations, featuring island inspired décor, full kitchens, washer and dryer facilities, and private balconies. The resort provides an array of onsite amenities including a gym, tennis court, swimming pool, complimentary fishing gear, and twelve boat slips directly on Florida Bay. Lake Forest, CA, July 19, 2016 - Vacation Resorts International (VRI), a provider of management and leisure services to vacation owners, announced that 18 of its managed resorts received the 2016 TripAdvisor® Certificate of Excellence award. The properties include charming retreats dotted throughout New England, high-demand destinations in the Sonoran Desert, a tranquil setting near Mt. Hood, and beautiful beach resorts located on both the East and West Coasts. "Our dedicated resort teams work hand-in-hand with the boards at our managed resorts to ensure that we provide outstanding vacation experiences and deliver exceptional service to owners and guests,” said Loren Gallagher, president and CEO of Vacation Resorts International. “We truly appreciate the feedback from visitors and guests letting us know that our efforts are recognized and appreciated." To qualify for a Certificate of Excellence Award, businesses must maintain an overall rating of four or higher, out of a possible five, as reviewed by travelers on TripAdvisor, and must have been listed on TripAdvisor for at least 12 months. Additional criteria include the volume of reviews received within the last 12 months. Vacation Resorts International (VRI) provides resort and homeowners’ association management services to the shared ownership industry. VRI has regional offices in Hyannis, Massachusetts; New Bern, North Carolina; and Salt Lake City, Utah; and manages more than 120 resort and club locations in North America for the approximately 200,000 families who own at VRI-managed properties. VRI has built its success as a team dedicated to “Perfecting the Art of Hospitality” for over 30 years. VRI shares its Lake Forest, California, headquarters with sister company, Trading Places International. Both are operating businesses of Interval Leisure Group (Nasdaq: IILG) a leading global provider of professionally delivered vacation experiences. Lake Forest, CA, April 27, 2016 – Vacation Resorts International (VRI), a provider of management and leisure services to vacation owners and an operating business of ILG (Nasdaq: IILG), announced that it has entered into a property management agreement with La Boca Casa Resort located in Boca Raton in the heart of Florida's Gold Coast, on the Atlantic Ocean. Headquartered in Lake Forest, California, Vacation Resorts International (VRI) provides resort and homeowners’ association management services to the shared ownership industry. VRI has regional offices in Hyannis, Massachusetts; New Bern, North Carolina; and Salt Lake City, Utah; and manages more than 120 resort and club locations in North America for the approximately 200,000 families who own at VRI-managed properties. VRI has built its success as a team dedicated to “Perfecting the Art of Hospitality” for over 30 years. VRI is an operating business of ILG (Nasdaq: IILG), a leading global provider of non-traditional lodging, encompassing a portfolio of leisure businesses from exchange and vacation rental to vacation ownership. “We’re delighted to partner with the homeowners’ association at Mountain Loft to enhance the owner and guest vacation experience," said Steve White, VRI’s vice president of resort operations. The town of Lake Lure sits in the heart of Hickory Nut Gorge and is located in western North Carolina, less than a one-hour drive from Asheville, one of the area’s most popular tourist destinations. Thousands of families visit Lake Lure each year to enjoy the 720 acres of crystal clear lakes, pristine beaches, and the majestic Blue Ridge Mountains. Lake Forest, CA, February 11, 2016 – Vacation Resorts International (VRI), a provider of management and leisure services to vacation owners and an operating business of ILG (Nasdaq: IILG), announced that it has entered into a property management agreement with the Neptune House on Block Island, Rhode Island. VRI will deliver a full range of services that includes resort operations such as front-desk check-in, housekeeping, and unit maintenance; financial assistance in the areas of planning, budgeting, and forecasting in concert with the association board; rentals; and communications between the association and the hundreds of families it represents. Just minutes from downtown beaches and old harbor ferry service, the 23-unit Neptune House was originally a private residence during the Victorian Era. Still maintaining the Queen Anne style today, the resort has spacious studios and one- and two-bedroom suites with full kitchens. Units feature island-inspired decor with an array of amenities, private patios, and either partial ocean or island views. Owners and guests can enjoy the local hiking trails, beaches, fishing, and other water activities. The resort also offers onsite tennis courts, barbeque grills, pool table, guest laundry, and ample parking. Block Island is an islet three by seven miles in size, located 12 nautical miles off the coast of Rhode Island. It is a unique locale that moves at its own pace and is known for a relaxed way of life. Islanders speak of going to the mainland as going “off island” — an expression that reinforces their belief that Block Island is its own entity. Lake Forest, CA, June 2, 2015 – Vacation Resorts International (VRI), a provider of management and leisure services to vacation owners and an operating business of ILG (Nasdaq: IILG), announced that it has entered into a property management agreement with Los Cabos Golf Resort in Cabo San Lucas, Mexico. VRI will deliver a variety of services, including reservations and rentals handled through VRI’s reservations center; financial assistance in the areas of planning, budgeting, and forecasting, in concert with the developer; and communications between the developer and its members. In addition, VRI will oversee resort operations, such as front-desk check-in, housekeeping, and unit maintenance. 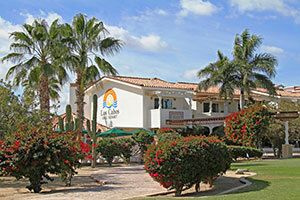 "We are proud to welcome Los Cabos Golf Resort to our property management portfolio. The resort's stunning location and full range of amenities brings a highly desirable destination to our managed owners and loyal vacation rental customers," said Tom O’Brien, senior vice president of resort operations for VRI. Just minutes from downtown Cabo San Lucas, Los Cabos Golf Resort has 74 elegant timeshare villas, ranging from studios to one- and two-bedroom suites. Villas feature locally inspired decor with custom-made furniture, patios, and either partial ocean, golf course, or mountain views. Owners and guests can enjoy the bi-level pool featuring a connecting slide and swim-up bar, full-service spa, and al fresco dining with signature Mexican dishes at the Double Eagle Restaurant. Adjacent to the property, the scenic Los Cabos Country Club features a Dye-designed 18-hole championship golf course and stunning vistas of Land’s End, Cabo San Lucas Bay, and the Sea of Cortez. Los Cabos is at the southern end of the Baja California peninsula, where the Gulf of California meets the Pacific Ocean. A premier location for vacationers of all ages, it offers a near-endless variety of restaurants, nightlife, water activities, and excursions. Whale watching, snorkeling, surfing, and sport fishing are just some of the area’s more popular attractions. Headquartered in Lake Forest, California, Vacation Resorts International (VRI) provides resort and homeowners’ association management services to the shared ownership industry. VRI has regional offices in Hyannis, Massachusetts; New Bern, North Carolina; and Salt Lake City, Utah; and manages more than 120 resort and club locations in North America for the approximately 230,000 families who own at VRI-managed properties. VRI has built its success as a team dedicated to "Perfecting the Art of Hospitality" for over 30 years. VRI is an operating business of ILG (Nasdaq: IILG), a leading global provider of non-traditional lodging, encompassing a portfolio of leisure businesses from exchange and vacation rental to vacation ownership. Lake Forest, CA, May 18, 2015 – Vacation Resorts International (VRI), a provider of management and leisure services to vacation owners, announced that Jan Samson is the recipient of the American Resort Development Association (ARDA) Producers' Club Award for 2015. Recognizing the person who has referred the most new ARDA members in the past year, it was presented at the ARDA World Awards Gala in Orlando, Florida. "I am honored to receive this important award," said Samson, senior vice president of business and corporate development at VRI. "Supporting ARDA is also a way to support the resorts and homeowners’ associations that VRI serves." In addition to referring members to the organization, Samson is a frequent speaker at ARDA educational sessions on resort management issues, serves as an advisor to the Suppliers Council, is a member of the Resort Operations Council, and has chaired the group’s Resort Management Council for the last two years. She is an avid promoter of the ARDA Resort Owners' Coalition (ARDA-ROC). Samson, who has been with VRI since 2004, is responsible for new business, acquisition of management contracts, renewal of existing contracts, business alliances, marketing, development of corporate programs, and special projects. 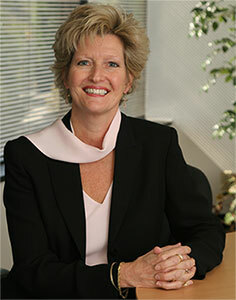 For nearly 35 years, she has held various management positions in the vacation ownership and hospitality industry. She has degrees in accounting and hospitality management and holds an active Community Association Management license in Florida. ARDA is a Washington DC-based trade association representing the vacation ownership (timeshare) and resort development industries. ARDA has nearly 1,000 corporate members ranging from privately held firms to publicly traded corporations with extensive experience in shared ownership interests in leisure real estate. Members also include timeshare homeowners’ associations (HOAs), resort management companies, and industry vendors, suppliers, and consultants; as well as owners through the ARDA Resort Owners’ Coalition (ARDA-ROC). Headquartered in Lake Forest, California, Vacation Resorts International (VRI) provides resort and homeowners' association management services to the shared ownership industry. VRI has regional offices in Hyannis, Massachusetts; New Bern, North Carolina; and Salt Lake City, Utah; and manages more than 120 resort and club locations in North America for the approximately 230,000 families who own at VRI-managed properties. VRI has built its success as a team dedicated to "Perfecting the Art of Hospitality" for over 30 years. VRI is an operating business of ILG (Nasdaq: IILG), a leading global provider of non-traditional lodging, encompassing a portfolio of leisure businesses from exchange and vacation rental to vacation ownership.